Use this USB sharing switch to share up to four USB devices between two computers with the push of a button. Just connect your devices and computers and select the current shared device with the large clear buttons. 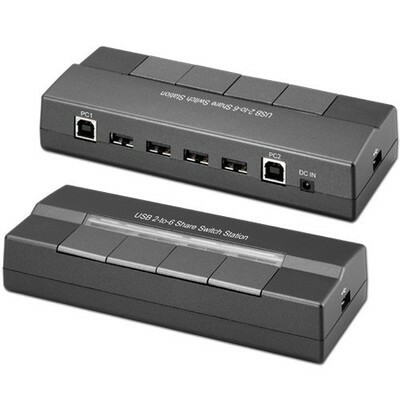 The device includes two unshared ports, one for each connected computer for protected USB devices. 2 PCs share 4 USB devices. Stable and consistent data speed. Software and manual selectable connection.